He stood tall among the region's great middle-distance runners and brought glory to Singapore. Avtar's trailblazing pursuits have found their right place in the annals of Singapore's athletics history. Avtar Singh ran and broke records. He ran and won many medals. In the process, he received several accolades. However, for 72-year old Mr Avtar Singh, his glittering track record in athletics was not about the fanfare, glory or honour. He took up running for a purely rudimentary reason – to keep fit! 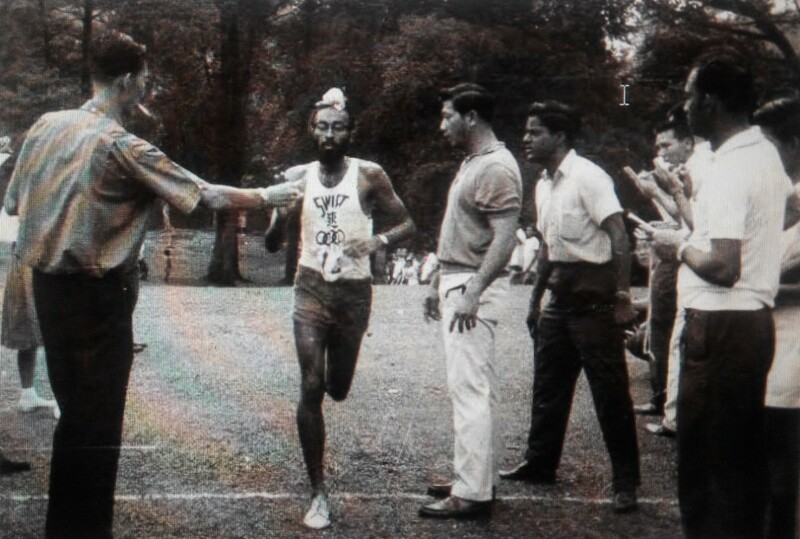 Avtar’s medal haul for long-distance running is indeed impressive – one silver medal at the 1967 Southeast Asian Peninsular (SEAP) Games (1,500 metres) and another silver medal at the 1969 SEAP Games (5,000 metres). He also broke several national records during his time, most notably in the 800-metre, 1,500-metre and 5,000-metre events. Ironically, it was Avtar’s humble childhood that prepared him for his illustrious life of achievements on the running track. 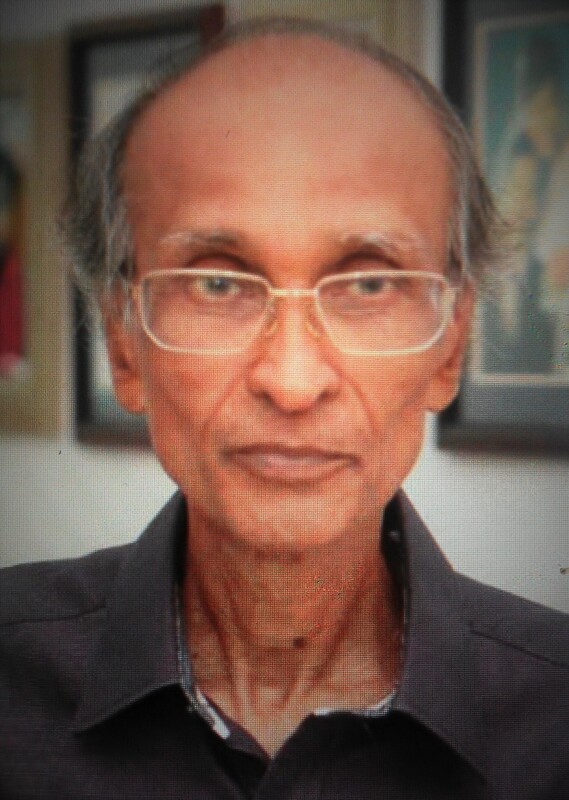 He was born in 1943 in Ipoh, where his grandfather worked as a priest in the Sikh temple and so young Avtar stayed with his family at the temple premises. From there, his family moved to the Johor town of Pekan Nanas, where his father worked as a Special Constabulary Officer for the Lee Pineapple factory. However, in 1953, his family sent Avtar to Singapore due to his desire to get a good education and learn English. He attended Canberra School and eventually Naval Base Secondary School. Avtar fondly remembers this period for it gave him the foundation for his running career, albeit unknowingly. Ever since his move to Singapore, he lived at Her Majesty’s naval base, where his grandfather had by then moved to in order to become a priest at the Sembawang Sikh temple. He also had three uncles who lived at the base and two who lived outside it. Part of his daily routine saw him cycling to deliver food from his home to his grandfather and uncles, two of whom had a shop outside the base. He also walked to school in the mornings. For a young boy, running errands and playing with friends was a common thing. However, all of these activities, explained Avtar, helped build his stamina. Avtar did not, however, begin running competitively until he was in secondary school. When he did, he was quick to make his mark, coming in second in the combined schools cross-country race in 1961 and also winning a track race at the combined schools level. After his ‘O’ level examinations, Avtar joined the Customs and Excise Department as a clerk to seek an income. However, he did not give up his athletic pursuits and ran at the Farrer Park football fields in the evenings after work. He was committed to and passionate about running. His big break came when Avtar took part in the Khalsa Sports Meet to mark the opening of the Singapore Khalsa Association (SKA) in 1962. The Association had then moved from its premises at Whampoa to Jalan Bahagia.4 He came in first in the race and was approached to ascertain if he would be willing to train with the national coach, Mr Tan Eng Yoon. As he explained this episode during the interview, the glint in his eyes reflected that he relished the opportunity to be groomed by the very best in Singapore. Avtar never looked back as he grabbed the proverbial bull by its horns and went on to ace the local tracks. His love for running became a national pursuit. During this time, Avtar also made a more permanent career decision as he applied for the teaching service in 1962 and underwent training to be posted to Towner Primary School. This move was a boon for Avtar for two reasons. Firstly, primary schools operated two sessions and this allowed Avtar to tend to teaching during the day and focus on his athletic training sessions in the evening. Secondly, Avtar explained, during those times, all teachers were also assigned Physical Education classes in schools. Being a national runner, this responsibility was a walk in the park for him and allowed him to also keep fit while at work. In 1963, Avtar surprised the athletics fraternity in Singapore when he clocked a time of 11 minutes and 39 seconds to beat a field of 64 runners to win the Swift Athletics Association’s two-and-a-quarter mile race. The 28 race included seasoned runners from the Singapore Police Force, Royal Air Force Changi, Gurkhas and Singapore Armed Forces. Together with Major Singh, who finished second in the race, Avtar helped his team, Swifts, win the team relay race at the event. It was a remarkable feat for someone who had only decided to take running seriously less than two years earlier. Avtar continued to train hard and he was soon rewarded when he represented Singapore at the SEAP Games in Malaysia in 1965. He went on to wear the Singapore badge in two more SEAP Games in 1967 and 1969. At his first regional competition in 1965, Avtar came back home without a medal. He was naturally disappointed as he wanted to do well for his newly-independent country. However, he pointed out that at that point in time, he had only been training with the national squad for two years and so, “it was perhaps too soon” for him to excel regionally. Avtar intensified his training routine and pushed himself extremely hard. He worked on his weaknesses and overcame his running flaws. His fortunes changed significantly in the next SEAP Games in Thailand. He brought home the silver medal for Singapore in the 1,500-metre race with a time of four minutes, which was a national record at that time. Two years later, he repeated his silver medal feat in Burma (now Myanmar) when he clocked an impressive personal time of 15 minutes 20.2 seconds in the 5,000-metre event. While Avtar participated in and won numerous local events, he treasured his participation in the SEAP Games – it allowed him to pit his running skills against the very best from the region. After the 1969 SEAP Games, Avtar decided to hang up his spikes. It was a difficult decision for him as he was, at 26 years of age, at the peak of his running career. He would have loved to continue running and bring more medals for and glory to Singapore. However, he realised that he needed to focus on several priorities in his life. He decided to settle down and got married in 1971. He also decided to place greater emphasis on his career in teaching. “I have known Avtar since 1963 when I started running. His running ability was discovered by his teachers in Naval Base Secondary School where he excelled in the 1,500-metre event. After leaving school, he was invited to join Swift Athletes Association and went on to shine at the SEAP Games in 1967 and 1969. Avtar has seen the changing athletics scene in Singapore in the last forty years or so. Back then, one of the challenges he faced in his national athletic pursuits was that the training regimes in Singapore were not up to world standards. Since overseas training stints were rare, it was difficult for local runners to excel beyond a point. Today, the scenario is totally different. Athletes have the best equipment for training and are sent overseas for regular training stints. However, Avtar admitted that he does have a tinge of regret in not pursuing his running career a little longer. He could have won a few more medals and broken more records. Perhaps, due to this, he went back to run with the veteran runners at international tournaments for a few more years thereafter. Today, Avtar and his wife are proud grandparents with both their sons in successful careers in the United States. Avtar and his wife, both retired teachers, now spend their time between Singapore and their sons’ families in the United States, and running a successful website, which was set up to help parents worldwide in the learning of Singapore Mathematics methods.Avtar also keeps himself preoccupied with his other passion in robotics and creativity – he spends time working on Lego-based compressed air-motors and other creations. It started as an effort to keep fit but it soon developed into a passion. Avtar competed hard and became Singapore’s best middle-distance runner in the 1960s. He stood tall among the region’s great middle-distance runners and brought glory to Singapore. His trailblazing pursuits have found their right place in the annals of Singapore’s athletics history. He stood tall among the region’s great middle-distance runners and brought glory to Singapore. His trailblazing pursuits have found their right place in the annals of Singapore’s athletics history.